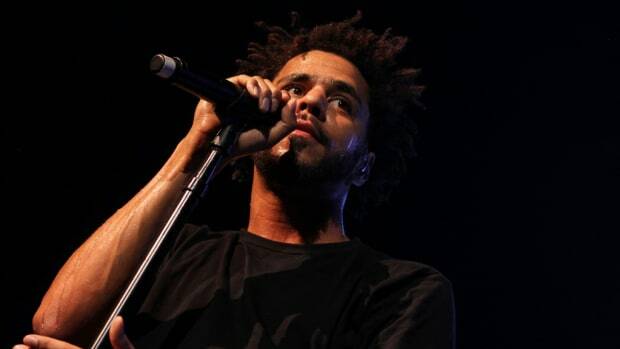 On the eve of his 2013 album release showdown with Kanye, J. Cole sent out a tweet. 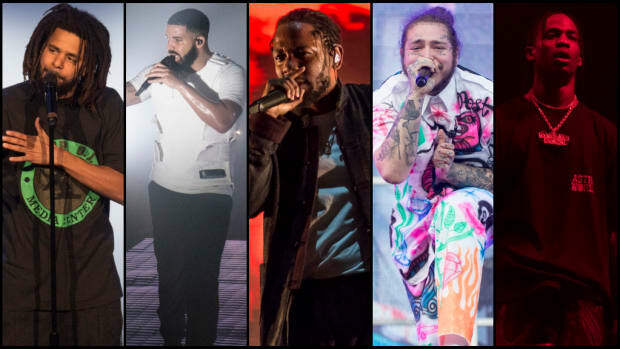 It wasn’t last minute promotion, he wasn&apos;t begging the hive to help him defeat Yeezus, but rather a declaration that hip-hop was alive, and he named five artists who were keeping the culture’s heartbeat full of blood: Kendrick Lamar, Ab-Soul, Drake, Chance The Rapper and Jay Z. An era was officially brought to a close a few years earlier when Kanye bested 50. The results of their manufactured marketing battle were honest, a true representation that the rap audience had picked a new king to follow. Before the sales could be totaled in this new race, J. Cole’s tweet also indicated another change was unfolding—the dawn of a new era. Looking back on the tweet, four years later, it’s as if Cole foresaw within these five names the future of hip-hop. During a very early stage of his career, when he was no bigger than a SoundCloud rapper today, Kendrick Lamar met J. Cole at the XXL Freshman cover shoot in 2010. If you believe the autobiographical story told on “The Heart, Pt. 1,” Kendrick predicted to Cole that they would see each other in the future. The relevance of that exchange is that Kendrick would become one of Cole’s first co-signs. Eventually, the entire industry would knight Kendrick as a savior, but before he was anyone—before Dr. Dre’s stamp, way back during the Overly Dedicated days—Jermaine saw something in the good kid from Compton. Thinking back, I’m almost certain that the purpose of their storied collaborative album was to give Kendrick a bigger platform to be heard. Cole’s tweet came after the release of GKMC. The world was already showering Kendrick with praise as a genuine, genius, culture-caring rap artist. 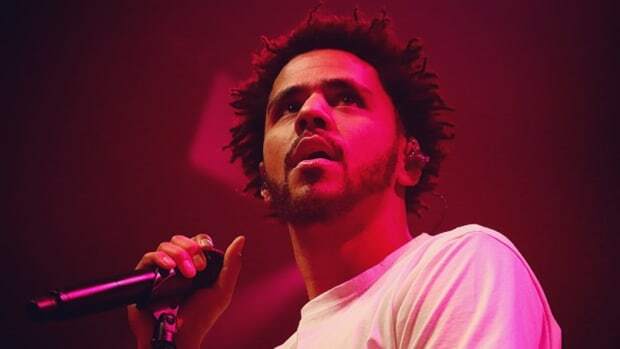 Having a critically acclaimed debut was the final reinsurance that hip-hop needed, confirmation he wasn&apos;t going to let us down like Cole did Nas. 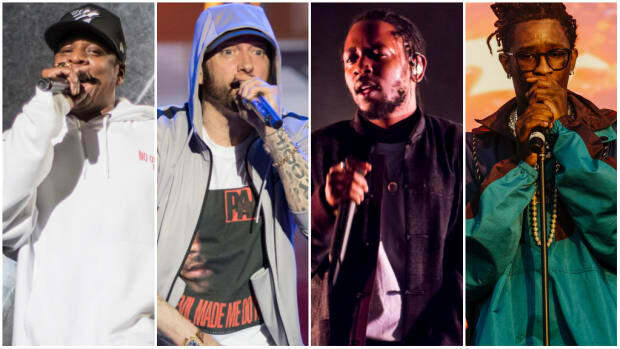 J. Cole proclaiming Kendrick would save hip-hop wasn’t new knowledge, but just another voice reminding the world of Kendrick’s gifts to the genre. K-Dot has continued to be a light in our dark times, culturally impactful and musically moving mountains. Cole may never get credit for being on Kendrick&apos;s train early, but he has continued to support one of the brightest gems to be unearthed in years. Ab-Soul is an intriguing selection. While TDE’s underdog was still very underground at the time, ScHoolboy Q was much bigger in the mainstream; picking Ab showed Cole’s tweet wasn’t biased towards popularity, but to whom he saw as a culture pusher. The year prior to Born Sinner, Ab&apos;s critically acclaimed Control System was applauded by critics and fans alike. As a body of work, this is still Ab’s most prominent project, the album that all his subsequent projects will be compared to. With ease, it displayed the best of his abilities—an emcee who can be lyrical, heartfelt and thought-provoking. 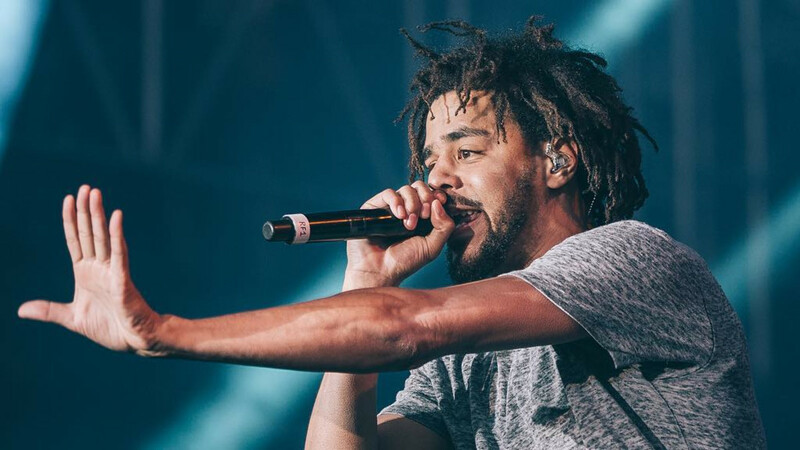 A breath of fresh air is the best way to describe Control System, and Jermaine believed the artist behind its creation deserved to be upheld for such a contribution. Ab-Soul has released two albums since Control System―These Days... and Do What Thou Wilt. 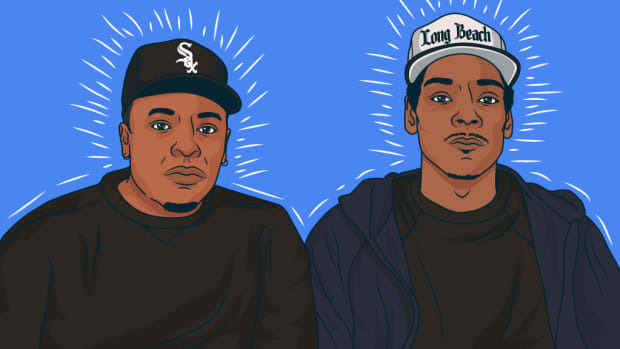 Neither received the same acclaim as their predecessor nor did they send Soulo skyrocketing into rap’s upper echelon. Unlike Kendrick, I don’t think Ab will be remembered as one of hip-hop’s saviors, despite the fact that he will leave behind profound rhymes that will be dissected by future rap geniuses. Still, there’s an impact to be made in the underground, ears who need to hear an emcee speak on something more than what the radio will give. There’s nothing like an Ab-Soul album, and that’s one hell of a mark to leave behind. Cole and Drake&apos;s relationship goes back to "In The Morning," the first time the two collaborated. This was around the time of Friday Night Lights, Cole was just beginning to get major notoriety, while Drake was already seen as an heir to the Young Money throne. Drake was more seasoned in the game, a senior compared to Cole’s sophomore, so the feature was huge on the blogs and even scratched the surface of radio. Similar to Cole and Wale, it seems as if the two were both peers and friends in the industry, but instead of Denny&apos;s, Cole and Drake threw money together at strip clubs. Born Sinner came out a few months before Nothing Was The Same, but Drake was active on huge singles from 2 Chainz to DJ Khaled. He wasn’t the world’s biggest rapper yet, but he was a golden child, predicted to be the next big thing. There were still critiques about him being soft and emotional, but the general consensus was that Drake was a glowing flame that was keeping hip-hop warm. Four years later, there’s no question that Drake is bigger than the glacier that sunk the Titanic. He’s the leader of the digital age, far more pop star these days than a rapper, but still a product of hip-hop. With that said, the backlash for having a ghostwriter will forever taint his legacy. He’ll never truly be able to claim the title as best rapper—you are disqualified from the running once it’s revealed that are your rhymes aren’t written by your own hands. In many ways, Drake did assist in the great resurrection of hip-hop, though he’ll never be able to shake off committing one of the culture’s biggest sins. 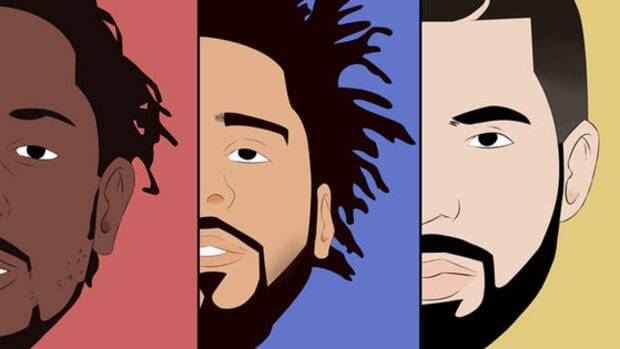 Three years after Cole said Drake was saving hip-hop, Drake called Cole one of the most legendary artists of our generation. Have to love the mutual respect between the two. Two months before Born Sinner, Chance The Rapper released Acid Rap. The free mixtape was hotter than an April sun and more refreshing than April rain. The blogs raved, the fans cheered—it was as if we were all touched by something tremendous. It felt like the beginning of something, but the movement was still very much underground. Two months after Acid Rap&apos;s release, there was still no true indication that its creator would be a game-changing artist. The music was good—no, the music was great—but it takes more than that to be a superstar. J. Cole didn’t wait to see who Chance The Rapper would become, Acid Rap was enough to proclaim him as an artist that could save hip-hop. Out of everyone on the list, this was Cole’s most premature approval. In 2017, Chance The Rapper is everywhere. From TV to radio, from the White House to his own festival at Guaranteed Rate Field, he is absolutely everywhere. There is no question that he is one of the most radiant examples of hip-hop taking over the world. Nothing will be the same after Chance The Rapper, not only in hip-hop but in all of music. His influence has expanded beyond a single genre and is eclipsing the world. Cole saw it, the beginning of a phenomenon. Jay Z signed J. Cole. 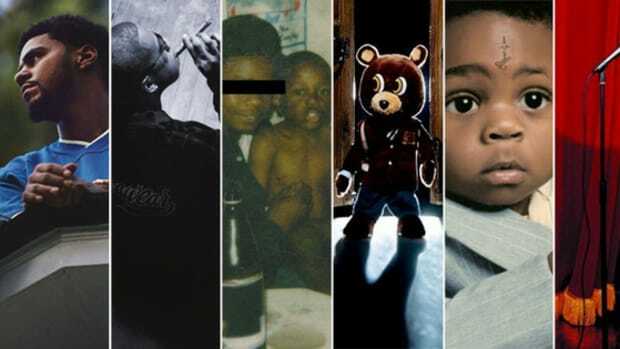 Cole idolized Hov, aspired to follow in his footsteps, and be to Roc Nation what Jigga was to Roc-A-Fella. At first glance, you can assume that Cole put Jay on the list because of business obligations, a shameless plug to remind the world that his boss was still very important to the growth of hip-hop. The day prior to his tweet, Jay Z released the first promotional video for Magna Carta Holy Grail during the fifth game of the 2013 NBA Finals. By now, we all should be able to accept that Jay’s 12th solo album didn’t change the game, but his relationship with Samsung foreshadowed the future relationship between music and technology. Look where we are now—streaming is dominating the music industry. Jay pretty much took the same idea that he had with Samsung and turned it into TIDAL. The same concept of album exclusivity, but through an application and not a cell phone provider. It wasn’t a revolutionary move, but it did show that Hov was moving further away from the microphone and closer to how music would be distributed. Despite not being photographed together, I’m certain that Cole and Jay are close enough to speak, and he likely knew about where his boss was headed when he included him in the tweet. 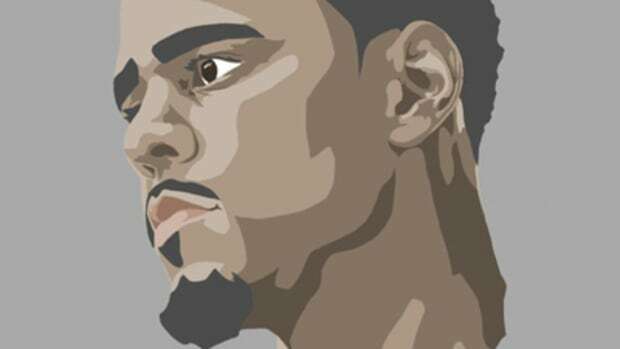 When he was no older than 13, J. Cole tore from his bedroom walls pictures of basketball players and replaced them with rap artists. New idols who bragged about balling instead of doing it on court captivated his mind. The Source became his new bible, replacing SLAM. Since his adolescence, the kid from North Carolina has been a student of hip-hop. Wanting to challenge Kanye is no different than Kobe wanting to play Jordan, or Curry wanting to play Lebron. The best only want to play the best. Being a student also means that Cole cared about uplifting the culture, highlighting who was moving it forward, and finding pride in his peers enough to acknowledge their names. It&apos;s kind of amusing that he omitted Kanye, a man who fits the description on the first verse of "False Prophets." Looking at Cole&apos;s tweet now, we can see that he listed several artists who have all elevated into positions that have truly impacted hip-hop.